Incorporated in August 1987 Mercantile Mergers & Acquisitions Corporation ("Mercantile") is a mid-market mergers & acquisitions brokerage with an exclusive focus on company divestitures, acquisitions and buyouts. Mercantile has consummated over l00 transactions in a number of industries and market sectors. Transaction sizes have ranged in amounts of $1 million to $43,203,000. 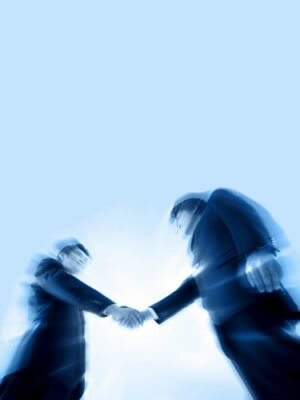 The founder and President of Mercantile Mergers & Acquisitions Corporation is Mark Borkowski. Prior to founding Mercantile, Mark was the co-founder and President of Cimtek Automation Systems Inc., an electronics systems builder based in Oakville, Ontario. Mark and his three partners were employed with Hewlett-Packard Canada in technical management positions. The company went public through a reverse takeover in 1986 after raising a private placement of $3,000,000. The three partners acquired his entire interests at the time of going public. Mr Borkowski is a graduate of the University of Toronto with an MBA in Business and Finance. Mark has spoken at more than 30 national conferences on Mergers & Acquisitions and Private Equity. Mark has also written over 750 articles in various trade publications, daily newspapers and other media on these subjects. B.Gordon Brooke, C.A. is a former CFO of one of Canada’s largest independent bakers which was sold in 2002. Gordon started has Canadian career with Deloitte Haskins and Sells in Toronto.. He joined Mercantile on full time basis in September 2006.